Today was overcast and drizzly most of the morning. 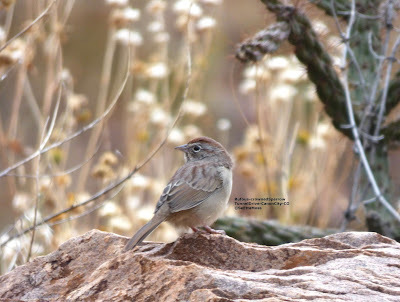 When it stopped at mid-day I thought I would try for the Rufous-crowned Sparrows that are a specialty of my area. I found these two (the bottom 2 pics are a second bird) in the company of a couple of Canyon Towhees, an association I most often find in this location.